Home /Why doesnt the worlds oldest living culture attract more tourists? Why doesnt the worlds oldest living culture attract more tourists? Thousands of years before the first stone was cut for the Pyramids of Giza or Olympians competed on the tracks of ancient Greece, Jamie Brooks’s ancestors were painting rocks near the Katherine River. Today, those paintings are still there for Mr Brooks to point out to tourists as he tells them about the oldest living culture in the world. But it seems those 65,000 years of history are failing to attract even a fraction of the interest garnered by these other international monuments. Tourism to the Northern Territory, which has the highest proportion of Aboriginal people, has been falling, with Kakadu National Park welcoming 40,000 fewer visitors in 2017 than in did in 2008. Of those domestic tourists that did come, only 15 per cent took the opportunity to experience Aboriginal culture, in the year to September 2018. Data from the Northern Territory tourism department revealed that far more enthusiasm came from the international market, 69 per cent of whom experienced the culture. 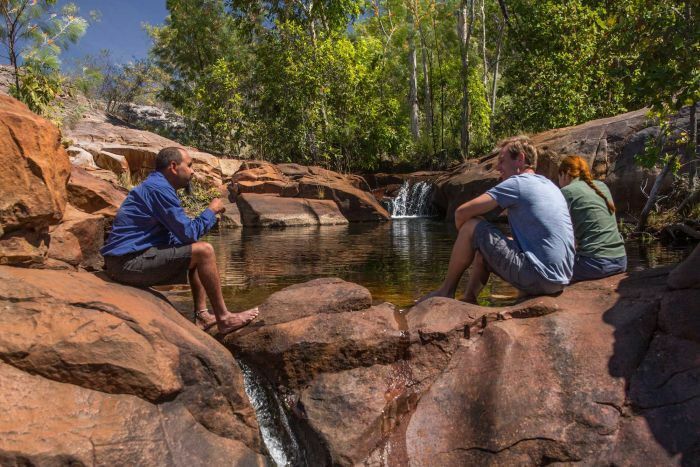 However, a $355,230 contract has been awarded to put together an Aboriginal Tourism Strategic Plan for the Northern Territory and is set to be released in the coming weeks. The NT Tourism department said the plan would aim to turn the Territory into the nation’s leader in Aboriginal tourism experiences. 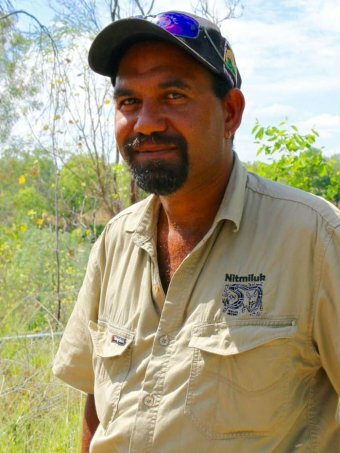 During the 22 years Dalabon man Mr Brooks has worked as a tour guide at Katherine’s Nitmiluk Tours, he had seen “quite a lot of very shocked people”. “You’ll tell the people that you’re with these are 8,000-year-old paintings, but they’re only young compared to some of the art sites that have been dated more than 30,000 years,” Mr Brooks said. “And when they hear dates like that they’re just astounded — 8,000 years is before the pyramids was made. He said it was a fact overlooked even among Australian tourists, with many never getting the chance to learn about it in Indigenous culture in school. Yet Mr Brooks did believe the word was getting out, with some tourists travelling from as far away as Iceland specifically to interact with Aboriginal culture. NT Tourism pointed out that visitation to Darwin’s Aboriginal Art Fair has almost tripled in the past five years — from 4,891 in 2014 to 13,932 last year. 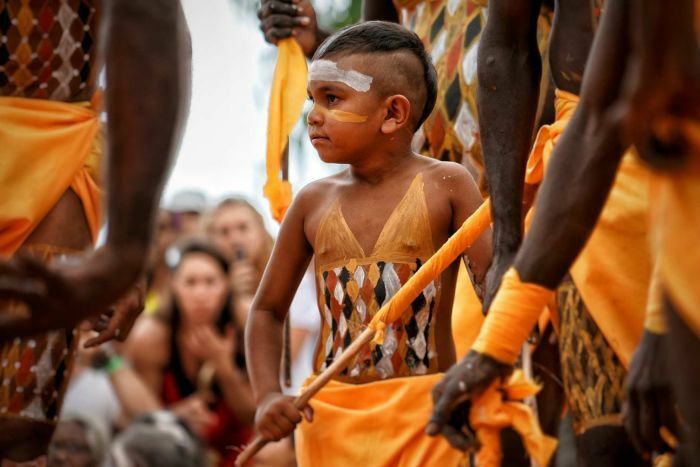 Garma Festival — described as “Australia’s Indigenous equivalent of the World Economic Forum — sold out last year and drew visitors from all states except Tasmania and South Australia. Similarly, the Tiwi Islands grand final — an annual AFL match attended by about 1,000 locals and 1,200 visitors — is gaining a reputation as a “bucket list event”, similarly to the Birdsville Races, a Tiwi Islands Regional Council spokesperson told the ABC. While the NT Government’s plan for a National Indigenous Art Gallery has made slow progress, it has also pledged $106 million to develop an arts trail and set aside $1 million to market it. NT Tourism said there were about 144 Aboriginal tourism businesses in the Territory, up by almost 50 per cent in a decade. Yet there are many cases when the Territory’s tourism sector has failed to consider the wishes of Aboriginal people. 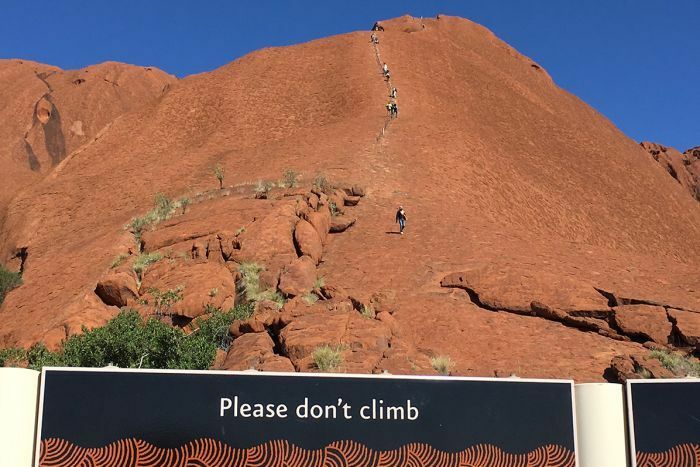 After years of requesting visitors not climb Uluru, traditional owners have decided to bring in an official ban from this October. Operators have stood at odds with traditional owners over land and sea access and many Aboriginal people near the dual World Heritage listed Kakadu National Park still live in abysmal conditions. Indigenous chef Raylene Brown said this had definitely damaged the attitudes of some Aboriginal people towards tourism, and said it would require thoughtful consideration to overcome. “It is sad what’s happened … in the past, and we definitely need to learn lessons from that,” Ms Brown said. Even as consultation for the soon-to-be released Aboriginal Tourism Strategy got underway, Ms Brown believed more could be done to “open the gate a bit wider for us mob to be involved a bit more”. While she believed Aboriginal culture was featuring regularly in tourism marketing strategies, she said it still remained difficult for tourists to access once they were in the Territory. “It’s great to have these campaigns but it’d be sad if people were kind of feeling like they didn’t get that real experience that they were seeing on the screen,” she said. 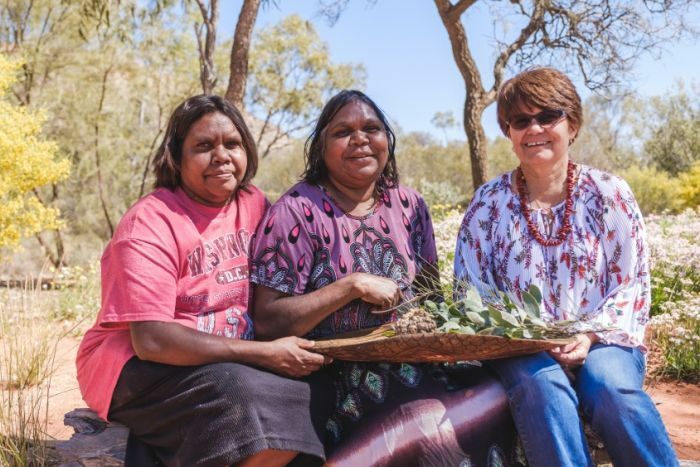 But with the right support and guidance she believed there was huge potential for Aboriginal-led tourism ventures to provide a range of new experiences to tourists — just as she had 20 years ago when she set up her catering business specialising in bush foods. “I think for any person that travels anywhere in the world, they want to try the local food. And local food for me is the bush food,” she said. “The reactions [from tourists] are amazing and they feel like they really have been very privileged to have tried these foods. “But I think there needs to be more different types of ways that people are interacting with Indigenous people when they get here. “And also to really showcase, yes we do have this ancient, ancient continuous history in our space here in the Northern Territory that’s kind of like unbroken. Because we’re still singing the songs for country, people are still doing the wild harvesting, people have a really strong connection. Headlines from Europe, Asia and even Tasmania have warned about the numerous pitfalls that can stem from tourism, from overcrowding of pristine environments, to the exploitation of local cultures. But Tourism NT general manager industry development Scott Lovett did not acknowledge any negative consequences stemming from Aboriginal tourism experiences so far. “To the contrary, there are many success stories over the years where the custodians of the land have worked with the tourism sector to establish Aboriginal tourism businesses on country,” Mr Lovett said. Tourism Minister Lauren Moss was also keen to showcase the “awe-inspiring artwork and other forms of expression of the world’s oldest living culture”. “The Territory’s rich art and culture is a major drawcard for national and international tourists and a key economic driver,” she said. Ms Brown said there were certainly people in Aboriginal communities who wanted to maintain their privacy and not be involved in tourism. However she said others were very keen to get involved, but required support to do so. But in Katherine, Mr Brooks said he could only see benefits in encouraging more tourists to experience the Northern Territory’s rich Indigenous cultures. “Because obviously we want people to know of our past, our present, what sort of people we are,” Mr Brooks said. “The culture as we were just talking about is one of the oldest ones left and we don’t want to see it die.